New Delhi, January 31: Bringing all the thugs under the same roof, the Augusta Westland Case is revealing dark secrets of each and every corrupt chapter. 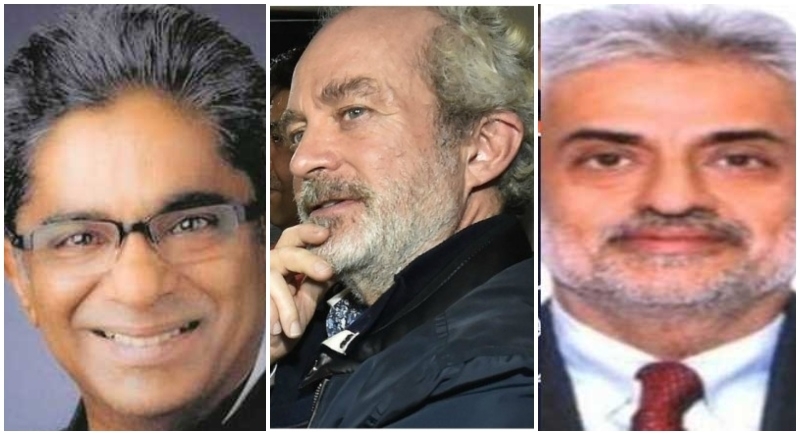 Extraditing Rajeev Saxena and Deepak Talwar to India, the Delhi Court in its order has sent Rajeev Saxena for a four day and Deepak Talwar on a seven-day remand under Enforcement Directorate. Enforcement Directorate (ED) on Thursday produced Rajeev Saxena, and Deepak Talwar Dubai-based businessman wanted in VVIP choppers case, before a Delhi court. In a major boost to agencies probing high-profile corruption cases, a Dubai-based businessman wanted in the VVIP choppers case and a corporate aviation lobbyist have been deported to India and arrested by the Enforcement Directorate. Rajeev Saxena was being produced before Special Judge Arvind Kumar. He was sent to 4 days of ED remand by Delhi's Patiala House Court. Rajeev Shamsher Bahadur Saxena, was picked up by Dubai authorities early Wednesday in connection with the Rs 3,600 crore AgustaWestland VVIP choppers money laundering case and deported to India last evening. 'Corporate lobbyist' Talwar is wanted in a case of alleged money laundering to the tune of Rs 90 crore through foreign funding. Saxena and Talwar were extradited to India from Dubai under Prevention of Money Laundering Act (PMLA). VVIP Chopper case middlemen Christian Michel was extradited from Dubai to India (in December last year). He is currently in judicial custody.